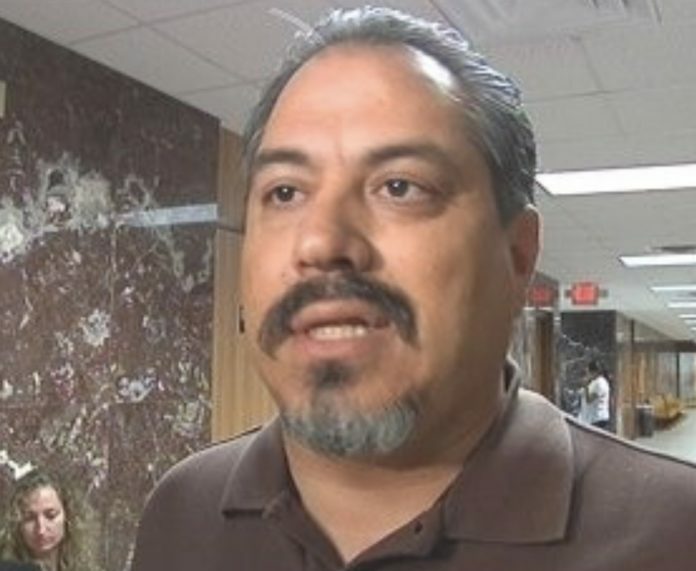 McALLEN — Ricardo “Rick” Quintanilla, a Weslaco businessman accused of playing a role in a bribery scheme related to construction of the city’s water treatment facilities, pleaded not guilty Monday afternoon. Quintanilla, 51, appeared before Magistrate Peter E. Ormsby, who set a $50,000 unsecured bond during the detention hearing Monday. The charges laid out in the 18-count indictment against Quintanilla include bribery and wire fraud as part of an alleged scheme to bribe two Weslaco city commissioners in exchange for contracts to three companies for work on the water treatment facilities. Leonel Lopez Jr., the now-former municipal judge for Rio Grande City who is accused of orchestrating the entire scheme, pleaded guilty to federal bribery charges March 22. Quintanilla is accused of working with Lopez to bribe one of the Weslaco commissioners by taking the checks he received from Lopez, cashing them and splitting the funds with that commissioner. Lopez allegedly wrote 41 checks to Quintanilla from about August 2011 to about October 2014. Each check ranged from $500 to about $5,000 apiece for approximately $85,950. In exchange for the money, the Weslaco commissioner voted in favor of granting contracts for the construction and rehabilitation of the water treatment facilities to those companies. The three companies are described as an international engineering and construction company that performed large-scale infrastructure projects for public and private clients; an engineering company based in San Antonio; and an engineering company based in McAllen. For work on their water treatment facilities, Weslaco contracted CDM Smith, a Massachusetts-based engineering and construction firm, and Briones Consulting & Engineering Ltd, a San Antonio-based company with close ties to CDM. However, with regard to Quintanilla himself, not much is known about his business but he has long been politically active in the city, having previously served as a Weslaco Economic Development Corporation board member and, in 2014, ran an unsuccessful bid for the District 3 seat on the city commission against then-incumbent Olga Noriega. Further hearings in his case will be held before U.S. District Judge Micaela Alvarez. A final pre-trial hearing is tentatively scheduled for May 2 and jury selection for May 7.